Scott Adkins, who was recently seen in Doctor Strange, has joined the cast of Accident Man, an action title based on a character from the graphic novel by Pat Mills and Tony Skinner from the defunct monthly UK comic Toxic!. Wagner 3 - Mills 1. I thought it was an interesting coincidence that this guy and the actress who played the chief judge in the 2012 film both appeared in Holby, but every actor in the UK must have appeared in Holby by now. Johnny Alpha will be played by Charlie from Casualty. 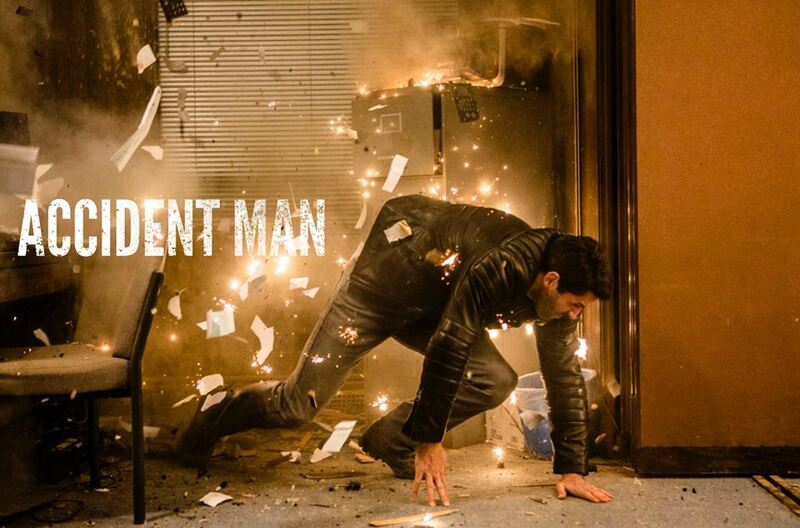 Accident Man is a great idea for a film, sadly it's already been a great idea for a film on at least three separate occassions. 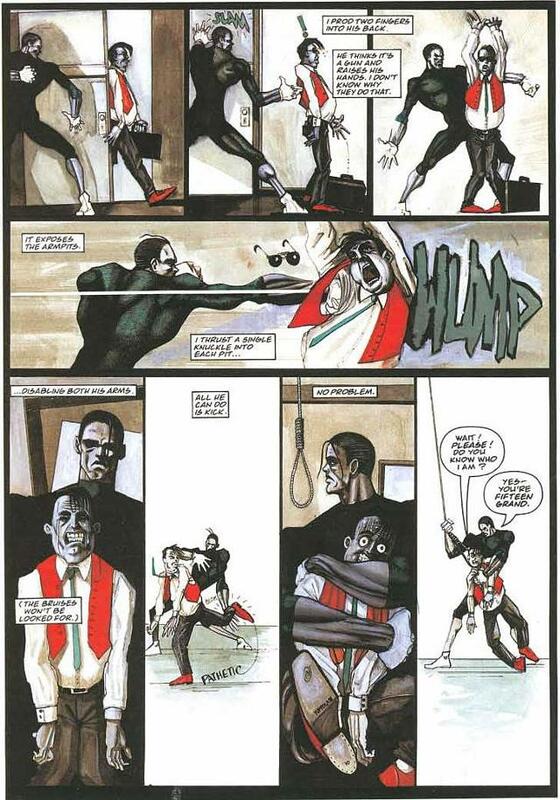 Pat and Tony Skinner drew Accident Man all themselves, did they? I assume so, since no artist is credited as one of the strip's creators. It was my friend the late Martin Emond who created the visual look of the character, followed in later stories by Duke Mighten. Loved Emond's design of Accident Man which is how I always associate him as looking. Never read a lot of the later stuff, but those early stories and art were great. I love the energy, expressiveness and humour of Martin Edmond's art, but I can't see the costume designer putting their leading man in a green catsuit and white sports socks. They're using the girlfriend in a fridge element of the story Edmond illustrated, but they'll probably go with the Armani and Lambourghini aesthetic of the Mighten era*. I haven't seen anything else the director has done. Do you think they will keep that yuppie vanity? Could be fun (Scott Adkins is entertaining). Plus Button Man had some movie news a bit ago, here's to more Tooth-related and similar less mainstream thingies getting adaptations. We've just had the mechanic films.......aren't they effectively accident man? That trailer is awful! No wonder they couldn't get any pledges! God, that is dreadful. Looks one of those no-budget gangster DVDs that haunt the shelves of pound shops. ESSEX TWATS III: RISE OF THE NOBHEADS, etc. The Button Man announcement was five years ago and nothing has come of it. I thought with Nicholas Winding Refn attached it might have a chance, but evidently it was a slim one. As is the way of these things, Refn chose other projects and Button Man vanished back into development hell once again. I genuinely thought Soap was extracting the urine with that still but, no, it really isn't Tom Cruise in JACK REACHER. I liked the comics, so I'm looking forward to seeing this. As for the trailer, don't worry about it; a lot of good films have had terrible trailers.